February is here and tomorrow is Groundhog Day. Although there is speculation about the validity of the predictions made by Punxsutawney Phil, aka the “the seer of all seers,” “the prognosticator of all prognosticators” or, simply, “the weather prognosticating groundhog,” tradition is tradition and tomorrow a large crowd will gather around the furry brown fellow eager to hear what their meteorological fate will be. Will we have six more weeks of winter or will we be blessed with an early spring? Who knows! Either way, I encourage you to take a look at “A Shadow,” from Gustafer Yellowgold’s Year In the Day. “A Shadow” is a sweet little tune, not only honoring this historic day, but also offering a different perspective on shadows in general. Combined with colorful illustrations (as usual) and soft, ethereal vocals, “A Shadow” will bring a smile to your face, regardless of what the morning’s predictions might indicate. 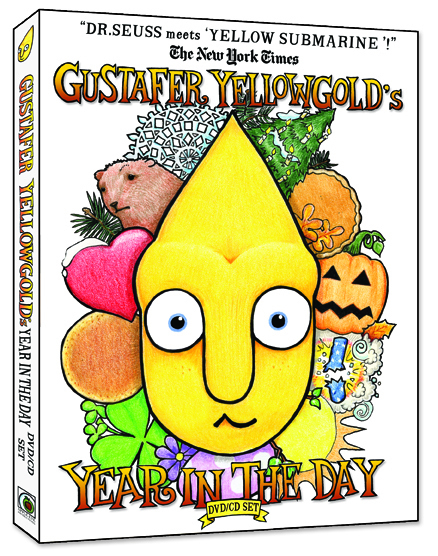 Gustafer’s Year In The Day is available at Gustafer’s official site. Please note that the video will only be available for the month of February. A Year In The Day is a collection of songs that represent something significant about each month of the year. And, in some cases, more than one day may be represented, as is the case with February. So, stay tuned for more Gustafer videos coming up, particularly one that involves pancakes.